Be Safe. Be Secure Always. 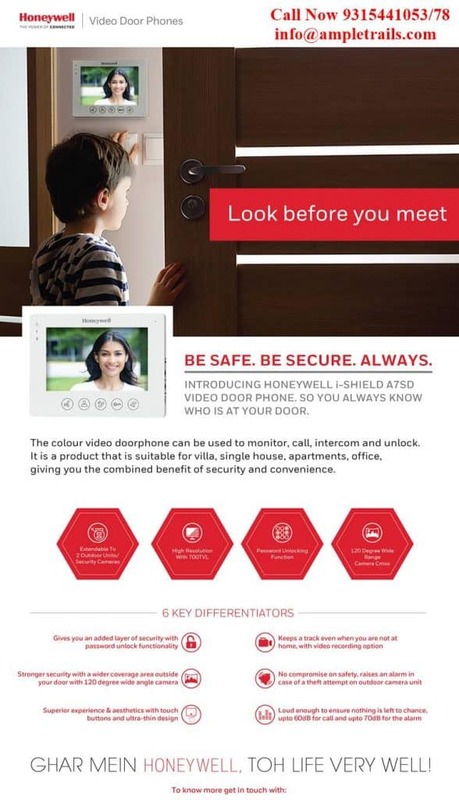 Introducing Honeywell i-Shield A7SD Video Door Phone. So you always know who is at your door. 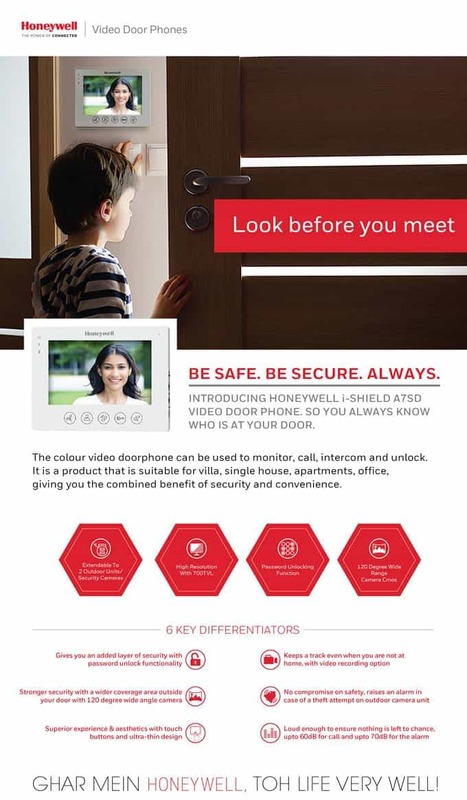 The color video door phone can be used to monitor, call, intercom and unlock. It is a product that is suitable for villa, single house, apartments, office, giving you the combined benefit of security and convenience. Gives you an added layer of security with password unlock functionality. Superior experience & aesthetics with touch buttons and ultra-thin design. No compromise on safety, raises an alarm in case of a theft attempt on outdoor camera unit. Loud enough to ensure nothing is left to change upto 60db for call and upto 70dB for the alarm. For more information about biometric face and RFID Time Attendance and Access, Control Machine call us now at 9315441078 WhatsApp 9315441053, 9818390836. Email us regarding your face Attendance Machine requirements at info@ampletrails.com.